AJA International ATC-M Series Multi-Technique Systems are versatile tools that combine various thin film deposition, ion milling and analytical operations in a single chamber (Hybrid Systems) or in multiple chambers (Multi-Chamber Systems) to allow the in-situ transfer of substrates from process to process without breaking vacuum. These systems can be built in HV or UHV configurations, and in either cylindrical, box or machined chambers styles. System features both sputter and evaporation process chambers with (8) A320-O 2 " UHV sputter sources, (1) 6-pocket 15cc UHV linear e-gun, (4) Resistive Thermal Sources, 850°C rotating substrate heaters with RF bias, secondary tilting/cooled stage, RHEED, computer control, load-lock cassette with in-situ mask exchange for 4" diameter substrates and chamber to chamber transfer system. 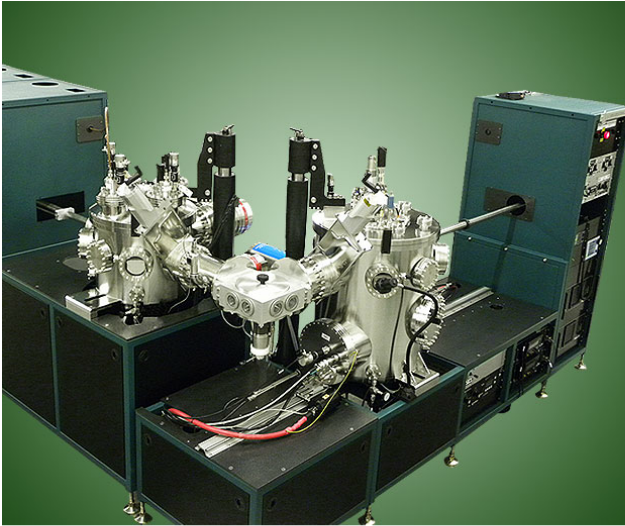 Dual UHV ATC 1800/2200E (Sputter/ E-Beam) system with (4) A320-XP 2 " UHV sputter sources with in-situ tilt, (2) 4-pocket 15cc UHV linear e-guns, RF ion source, 1200 l/s turbopumps, 850°C rotating substrate heaters with RF bias, computer control, and common vertex load-lock for 100 mm Ø substrates. The dual sputtering system above is connected by a common load-lock with (6) position cassette with "vacuum suitcase" compatibility. 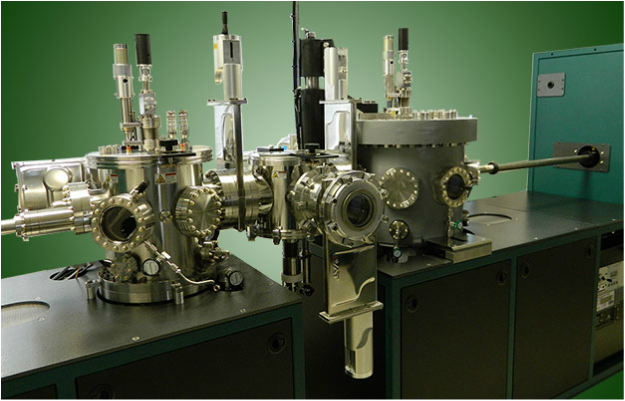 The chamber on the left includes (7) fixed angle sputter sources and has a 1.0 x 10-8 Torr base pressure. 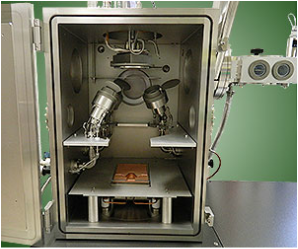 The chamber on the right features an integral bake jacket, (4) in-situ tilt sputter sources, a gridded ion source and has a base pressure in the 10-10 Torr range. 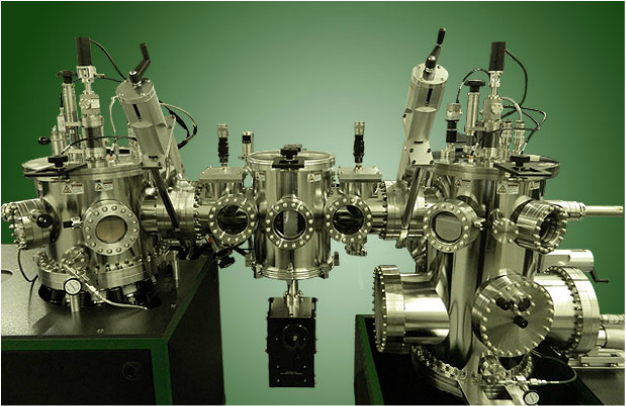 The chamber on the right is a full featured ATC 2200 with (6) UHV sputter sources with in-situ tilt and an 850°C substrate heater with RF bias, Z motion and azimuthal rotation. The chamber on the left backs up to a laser via the safety tunnel and features PLD from a six target turret. This chamber also includes 850°C heating and high pressure, double differentially pumped RHEED. Both are connected by a common vertex load-lock. During laser operation individual targets rotate azimuthally and execute an accel/decel wobble motion to allow uniform target erosion. 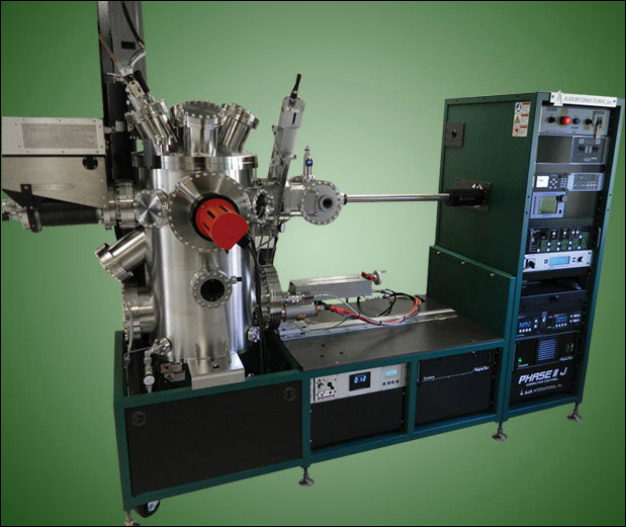 The ATC-HY Multi-Chamber Hybrid Deposition Tool combines two Hybrid Process Chambers, each featuring e-beam and thermal evaporation, confocal magnetron sputtering, ion beam etching with a 360 degree tilt, and a water-cooled substrate holder. In addition, a third process chamber features post anneal, oxygenation and ashing capability. All are connected via a UHV magnetic transfer tube with sectional isolation, integral load-lock and glovebox compatibility. 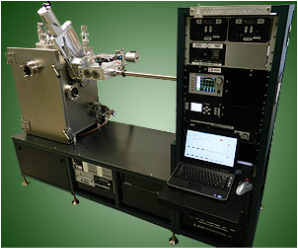 Incorporates confocal sputtering, a (6) pocket linear e-beam source, ion milling and a retractable sputter source for short working distance direct sputtering (e.g. Nb superconductors). This UHV tool also incorporates a +/- 200° tilting substrate holder with substrate cooling and azimuthal rotation. The HV box chamber features a turbo-pumped vacuum load-lock for substrates up to 6" diameter and Labview based computer control system which handles all sputtering and heater functions and interfaces seamlessly with the Inficon Deposition Controller for e-beam operations. 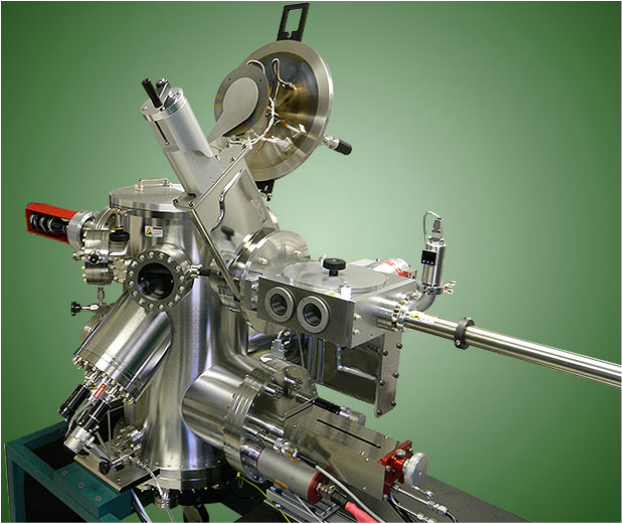 Featuring a (6) pocket, 15cc rotary pocket electron beam source with shielding, (1) 2" and (2) 3"magnetron sputter sources with tilt and an 850°C substrate heater with azimuthal rotation, Z motion and RF bias. This powerful tool features a linear UHV e-beam source, a 3" UHV sputter source with in-situ tilt, several different substrate carriers and a vacuum load lock. 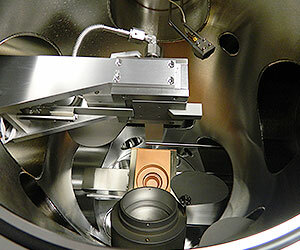 This view shows a tilting, water cooled ring which can accept a substrate carrier from and 850°C lamp heater. The ring can be oriented for normal deposition from both sources or for shadow evaporation. The water cooled ring at the left can be replaced by a 2" 1000°C, tilting, substrate heater with a programmable, water cooled wedge shutter for gradient film deposition. Featuring a (6) pocket linear UHV e-beam source, a +/- 200° tilting substrate holder with azimuthal rotation and RF bias, (2) UHV sputter sources and a 4cm, gridded ion source. This view shows AJA's unique "magnetic bayonet" transfer system.